When your vehicle is showing signs that it's in need of automatic and manual transmissions and transaxles services, our professional and personable ASE-Certified auto mechanics at Ponder Auto Repair in Johnson City can inspect and determine what the problem is quickly and efficiently. Our clients have chosen Ponder Auto Repair as their # 1 shop for car repair services. These same clients often become friends, so we are dedicated and committed to keeping them safe on the road. We want them to be free and clear of hassles and situations that would put them in danger. We deeply value these long-term loyal relationships and are committed to letting our clients feel that they are in the most capable highly skilled professional hands. The trustworthy highly certified auto mechanics at Ponder Auto Repair value the long term relationships that they proudly maintain with vehicle owners. When it comes to automatic and manual transmissions and transaxles and any other type of car repair, we always communicate clearly and honestly with our clients. We are committed to operating with integrity, so we make sure that you know exactly what's going on with your vehicle and what steps need to be taken to get you back on the road quickly and safely. We take pride in the high quality of our car repair services, technicians, reputation, technology, and equipment at Ponder Auto Repair. We stand behind our work so our customers can rest assured that they're in capable hands and will receive exceptional car repair services when working with our professional auto mechanics. 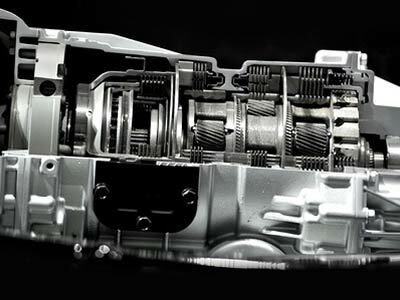 To schedule an appointment with us for services related to automatic and manual transmissions and transaxles or any other auto repairs, contact us. We are located at 915 West Market St., Johnson City, TN 37604.